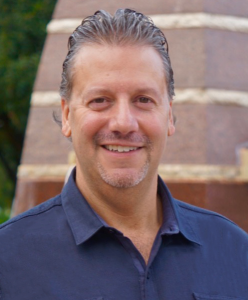 Matt Lafata has over 25 years in the HR technology industry and has been with HRchitect since 2004. He currently serves as President and CEO. As one of the industry’s leading analysts on HCM Systems Vendors, Matt studies the marketplace and meets with vendors on a regular basis to stay on top of trends in this industry. Matt has moderated numerous HCM panel discussions for vendors & HR organizations and has been a featured speaker on HCM solutions and workforce trends at various industry & vendor conferences. As President & CEO, Matt oversees all aspects of HRchitect’s operations including client success, consulting operations, worldwide sales of HRchitect services, marketing, alliances, finance and corporate development. Matt enjoys working with the HRchitect team and the satisfaction he gets from watching our people grow personally and professionally within the organization, and the positive difference our consulting services make in our clients’ organizations and their respective employees. Matt is a past recipient of the “21 Leaders of the 21st Century” by Inside Collin County Business, served on various editorial committees and has appeared on HR Examiner’s Top 25 Most Influential lists multiple times. When Matt isn’t working with the HRchitect team, HCM vendors and our clients, he enjoys traveling with his spouse, who owns a travel agency, and spending time with their seven children, as well as supporting many causes he is passionate about including the prevention of cruelty to animals. Matt is also arguably one of Bruce Springsteen’s biggest fans, having seen him perform live over 50 times during the past few decades as well as amassing a sizeable collection of Springsteen memorabilia and live recordings. Originally from the Boston area, he is also an avid follower of New England sports teams, especially the Bruins, Patriots and Red Sox.